Legwork Investigations is a Full service Private Investigations Agency. We specialize in three primary areas to assist our clients find the information they need. We help attorneys by handling all aspects of their legal investigations. We find missing witnesses and parties, conduct interviews and statement analysis, perform social media searches and gather evidence in anticipation of litigation. We work directly with our clients to help them gather the facts and information needed to win cases for their clients. We work with several small to large businesses across Indiana to help them find solutions for Employee Theft, Company Vandalism and Damages, Harassment & Violence Investigations, and Background Investigation Services. Our team is here to protect our client’s assets every step of the way. When you have an inkling that something may be wrong, and you’ve imagined the scenarios, revisited the conversations and you’ve asked yourself all the questions – Now, you want concrete proof; our investigators will help you find the information you need to give you peace of mind. 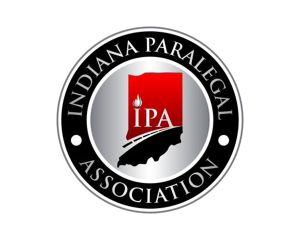 services to the business community, attorneys and individuals throughout the state of Indiana. Established in 2011, Legwork Investigations is a licensed and insured full service private investigations firm. We are based in Zionsville, on the northwest side of Indianapolis, Indiana. Our team of investigators have years of combined experience in the fields of insurance, surveillance, child custody and law enforcement. In our effort to stay current on advancements in technology, ethical standards and other related issues, our investigators are involved in various associations and organizations. When you need facts to make educated decisions, you need Legwork Investigations. We equip our licensed investigators with the latest investigative equipment and technologies and provide them with access to the most up-to-date databases available within the Investigations Industry. When you need facts, our investigators will help you find them. When you need peace of mind, our investigators will provide it for you. When you need to solve your business problems, our investigators will help guide your decisions. As a paralegal working in a New York State law office, we needed help locating and serving an out-of-state, missing spouse. It was my lucky day when I found Legwork Investigations. They did not only an outstanding job for us, but went over and above what we had asked them to do in order to get our job done, using technology we did not have access to, keeping us apprised every step of the way, and finding our guy. They are excellent, professional and I highly recommend them.